Carpet cleaning will be so much easier with these useful tips. Check them now. Fresh ideas on ways to take care of rugs and remove carpet stains always come handy. 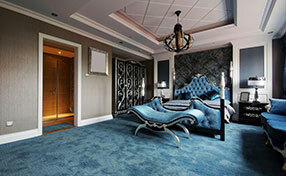 Here below you can read some smart tips regarding carpet cleaning methods. 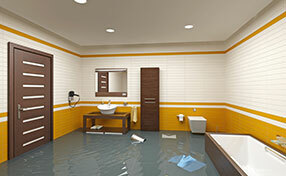 Learn how to deal with stains and water damage issues! Find out ways to keep your carpet floors clean and free of microorganisms. Find out how to take care of your carpets and rugs by reading the following carpet cleaning tips! Read on for help. If the stain is fresh, stain removal would be easier. That's the first, basic rule. Place a clean paper to absorb the excessive dirt. Use a clean wet sponge to dab on the stain. You can use some cooking soda or vinegar if you are aiming at odor removal, too. If the stain seems to be stubborn, the specialists of Carpet Cleaning Santa Clara would recommend stronger ecofriendly products. Handmade and natural products are definitely the best. 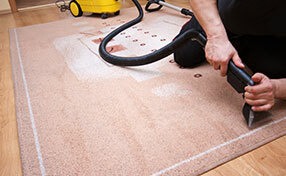 Odor removal is effective with vinegar, which must be applied on the carpet with a brush. Cooking soda would also be great. You would need to sprinkle it over the surface and vacuum it next morning. If you have oriental rugs, it would be great to carry them out in the open air for better ventilation. Fresh air is excellent! The last thing you want when your carpets are stained is to spread the stain farther. For this reason, don't rub the stain. Blot it. If it's a rather big stain, clean it by working from the outside to the inside part of the stain. After cleaning the dirty area, absorb moisture by using tissue paper. Just press it against the fibers. Alternatively, you can use a towel. This is a simple trick that works flawlessly. You simply need to lay the rug down with the pile up and wait until it is completely dry. Then you simply need to flip it over so that the other side can dry as quickly as possible too. This trick will reduce the risk of damage and mold growth to the minimum. Barrier mats are often used where there is heavy traffic that could cause abnormal wear to your carpet. They reduce the level of dust and dirt that enters your home and keep it from spreading throughout your living area. Our experts will advise you about the proper use of barrier mats, and when it's time for a complete and thorough cleaning of your rugs and carpet, we will schedule an appointment to do the job quickly at a reasonable price with 100% guaranteed satisfaction.